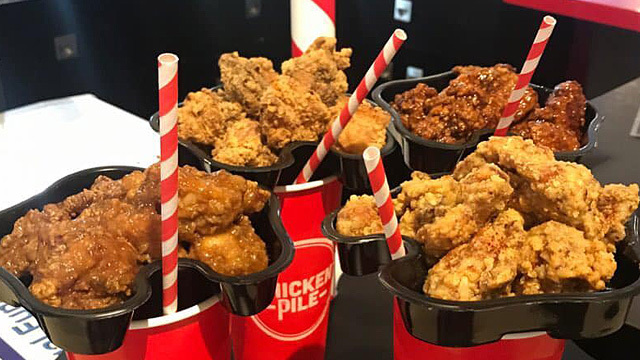 (SPOT.ph) We live in complex times—these days, good food isn’t the only thing people look for when dining out. More often than not, that perfect place for a nice meal has to look good, too. Sometimes, that gorgeous steak looks even more appealing with romantic interiors—dim lights and everything—while that crisp and golden fried chicken suits a bright and cheery vibe. 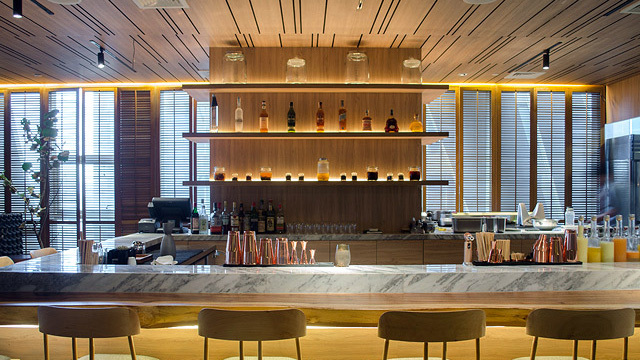 Bottom line: Aesthetic is a crucial key to unlocking a restaurant’s overall ambience. 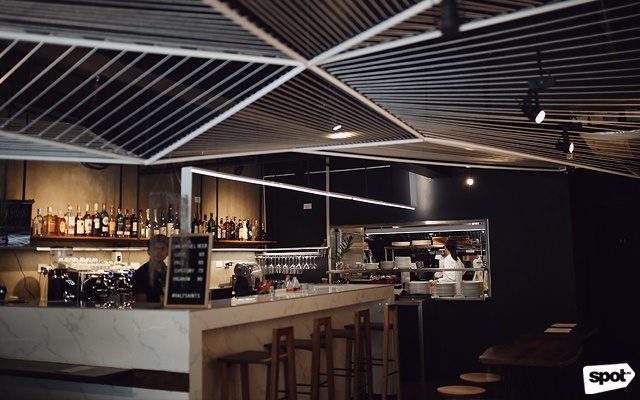 We’ve rounded up some of the best-looking restaurants in the Metro with great designs for your visual feast. 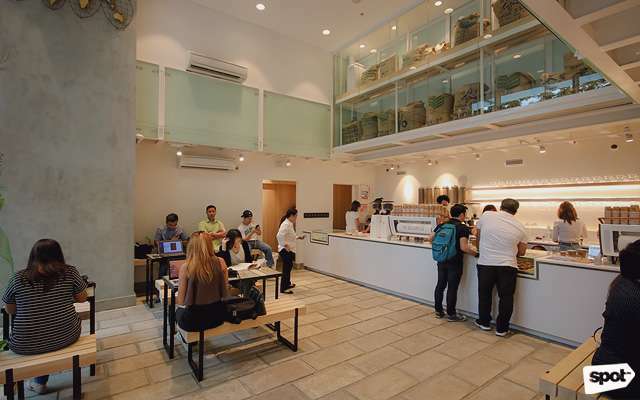 Crisp, minimalist interiors best describe this Japanese café right smack in the middle of Bonifacio Global City. Master franchiser Allue Hortaleza shares that they wanted to recreate the entire experience at % Arabica’s first Manila outpost starting with the branch’s design—the space’s bare, gray concrete floors draw attention to the light-colored wooden tables, while its high ceiling and huge windows add a pleasant brightness and airiness to the café. The mezzanine area, on the other hand, offers more seating and an interesting view of the % Arabica's signature wood-accented coffee machines. With great coffee and eye-catching décor, it’s easy to linger here. %Arabica is at G/F W City Center, 7th Avenue corner 30th Street, Bonifacio Global City. If you’re looking for a place to chill and treat yourself, plan a visit to 205, a new lounge-inspired café at BGC’s High Street Central. Just from the outside, you’ll feel the restaurant’s sophisticated vibe—a wild contrast to the neighboring casual-themed eateries beside it. Polished and clean, 205’s Art Deco interiors are plush thanks to its gold, brass, and silky velvet details, a bar with glossy light fixtures, and mirror-lined walls. “We want our customers to feel like they’re hanging out at the living room of a friend—someone from the group with a really nice house,” explains restaurant partner Denise Cabotage. 205 is at C2 U/G High Street Central, Bonifacio Global City. 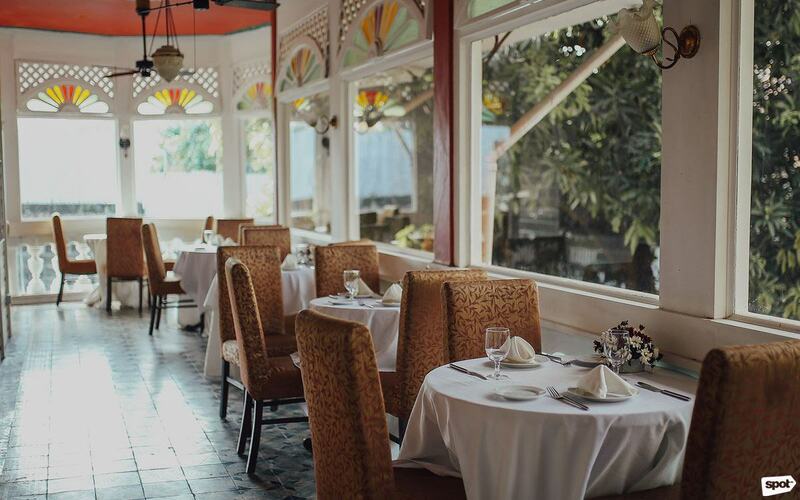 When Café Ysabel founder Chef Gene Gonzalez announced in 2016 that they would be closing down the San Juan institution, many were shocked—after all, the restaurant had been serving their signature dishes to patrons for the past three decades. 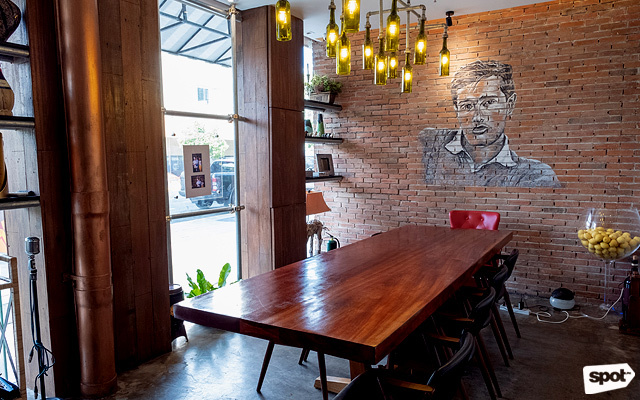 But early this year, many saw the rebirth of Café Ysabel on M. Paterno Street, just a few blocks away from its original location along P. Guevarra. The iconic façade of the previous place was transferred to the new restaurant on M. Paterno, blending seamlessly to the ancestral house’s angel statues and water fountain, which the Gonzalez’ rehabilitated for Café Ysabel’s reopening. Step inside and it’ll bring you back to the old Café Ysabel—from the vibrantly hued stained glass and paintings by Carlos Ygoa, Bien Flores, and Gina Bucar, to the antique furniture and so-called Billionaire’s Table. Not only does the new Café Ysabel serve up old favorites—it gives its diners a new sense of nostalgia, too. Not a lot of people know that Da Gianni started out as a simple al-fresco Italian canteen in Cebu. 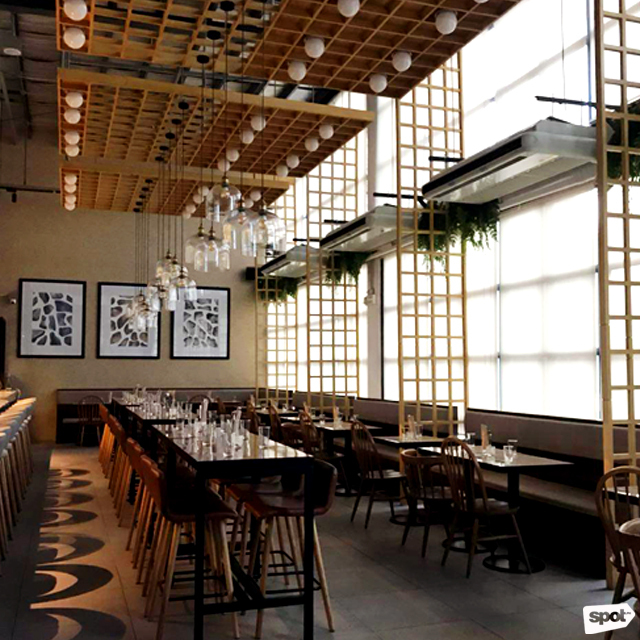 Wanting to bring the same gustatory experience to Manila, the restaurant’s owners opened an upscale version of the trattoria in Westgate, Alabang. The restaurant features a lot of rustic elements that have sentimental value to the Guidicelli clan. 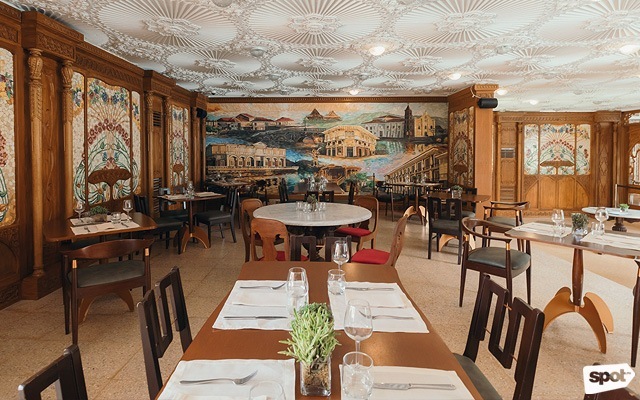 Amid its elegant and washed-out brick décor, you’ll see a lot of family photos hanging on the wall, colorful chalk drawings, and a mural of Gianni Guidicelli, the paternal grandfather of the family whom the restaurant takes its name from. Despite Da Gianni's small space, its welcoming coziness, thanks to the vintage-wood accents and rustic elements, will remind you of the Italian countryside. Da Gianni is at Westgate Hub Alabang, Alabang, Muntinlupa City. For an all-day brunch place, Essential Goodness, for the Pilgrims has a pretty darn nice view. The airy 90-seater eatery is chefs Nicco Santos’ and Quenee Vilar’s new playground located at Lub d, one of the Metro’s hippest hostels. 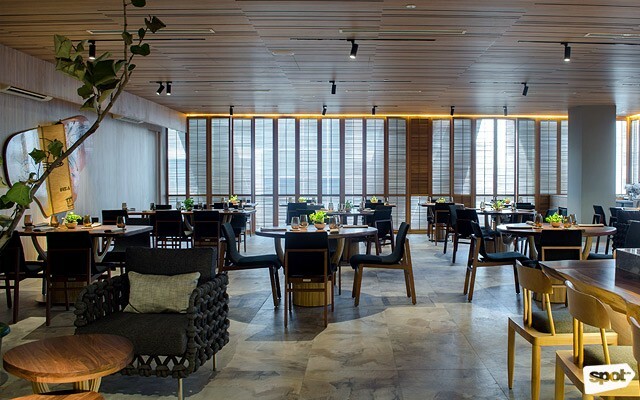 The cozy, industrial-themed restaurant boasts a breathtaking sight of the Makati skyline, with floor-to-ceiling windows that provide a lot of sunlight to the place, instantly waking you up whatever time you plan to visit. Flaunting pretty light fixtures and minimalist art work, a spacey open kitchen where you can watch the chefs in action, and a beautiful al-fresco area that’s perfect for after-dinner cocktails, the restaurant is, well, an essential in any design lover’s bucket list. Essential Goodness is at 13/F of Lub d Hostel, Makati Avenue, Poblacion, Makati City. 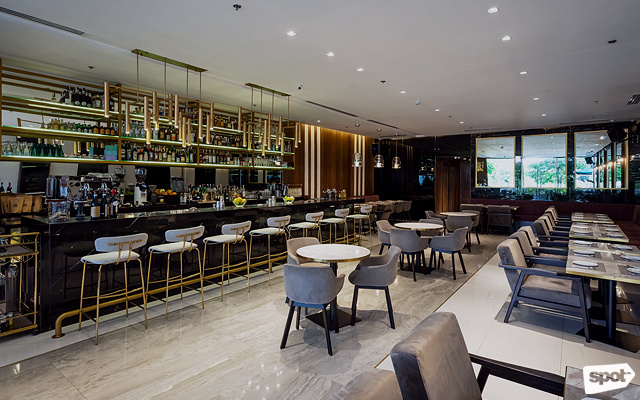 It’s no surprise that one of Manila’s best restaurants is also one of the best-designed—Gallery by Chele is sophisticated and fun, elegant and modern, all at the same time. 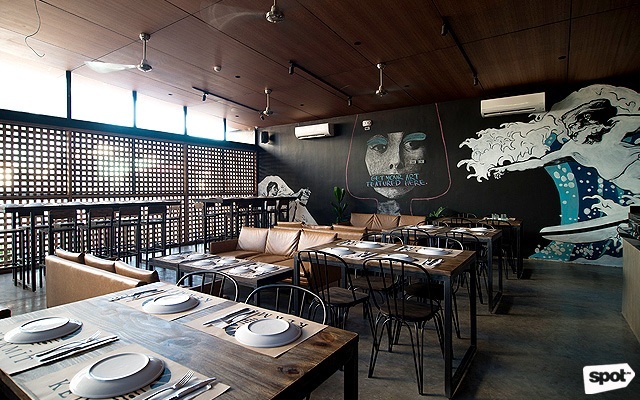 Previously VASK, the refurbished space now looks like a showroom of various Filipino talents. 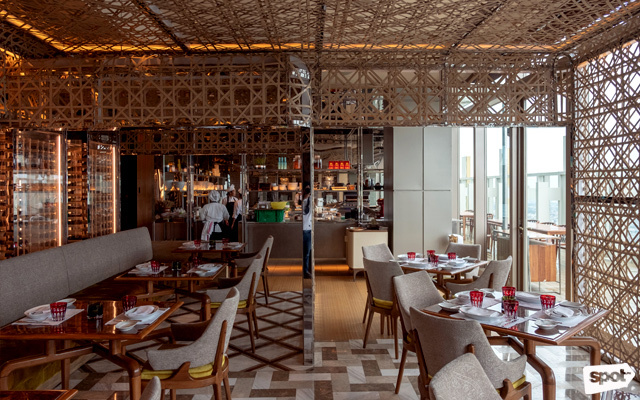 Its custom-made tables that resemble little trees were designed by Kenneth Cobonpue, giving the restaurant life and reflecting Chef Chele Gonzalez’ organic and natural approach to food. Besides leafy greens and splashes of natural colors throughout the space, a sleek marble-top cocktail bar sits in the middle of the room where diners can have a few refreshments before dinner. Half Saints is the brainchild of an all-woman team that dreamt of having a minimalist Tokyo-inspired café in Manila. Designed by One/Zero Design Collective, the stylish and monochromatic coffee shop-slash-restaurant in Quezon City seems a bit out of place amid all the homey eateries in the neighborhood. Besides the food, what’ll catch your attention as soon as you step inside is a grand and intricate art installation of interwoven ropes, made to resemble like ocean waves. “It’s to celebrate our femininity,” shares owner Christine Roque. Half Saints is at 62 Sergeant Esguerra Avenue, Diliman, Quezon City. Stepping inside the restaurant feels like being transported into a different time, back when Art Deco was in style and people lived genteel lives in sprawling mansions. Now, the restored house by National Artist for Architecture Pablo S. Antonio doubles as an events place and home to Las Casas Manila, a Spanish-inspired restaurant by Chef Margarita Forés. The vibe is elegant and sophisticated, with ornate carvings on the ceiling, intricate mosaics, and historical paintings and portraits by National Artist Fernando Amorsolo. It seems that every corner of the preserved space is an eye-catching sight filled with memories of the past, which both art lovers and discerning diners would adore. Las Casas Manila By Margarita Forés is at Las Casas Filipinas de Acuzar, 134 Roosevelt Avenue, Quezon City. Siargao may be a plane ride away but Kermit Manila offers a nice slice of the island to the Metro. Like its original outpost in Siargao, the pizzeria has pretty much kept its chill beach vibe throughout every corner of the restaurant—rattan-patterned walls, ceiling fans, fresh plants, and a comfy little corner with low tables and throw pillows. Designed by architect Eric Matic, Kermit Manila exudes an industrial-tropical feel, which is perfect for Poblacion’s hip and trendy atmosphere. Apart from an open kitchen that boasts a big pizza oven shipped all the way from Italy, you’ll also see plenty of cool murals, surf boards, and skateboards pinned to the wall. Too bad you can’t use them! Sometimes, rooftop restaurants leave little surprise to the imagination—with a great view, why bother with interiors? But the highest rooftop restaurant in Manila right now will blow you away. Besides juicy steaks and a stunning view of the Metro’s skyline from the 60th floor, their eclectic interiors are also a sight to behold. To achieve this unique look, The Peak combines industrial designs with traditional Filipino décor. Their solihiya-inspired room is beautiful, complete with elegant patterned dividers to set the vibe. Walk farther down the restaurant and you’ll either find yourself in a private room that showcases an intricate see-through wall with various abstract shapes, or an airy al-fresco bar that feature stylish marble-top tables. 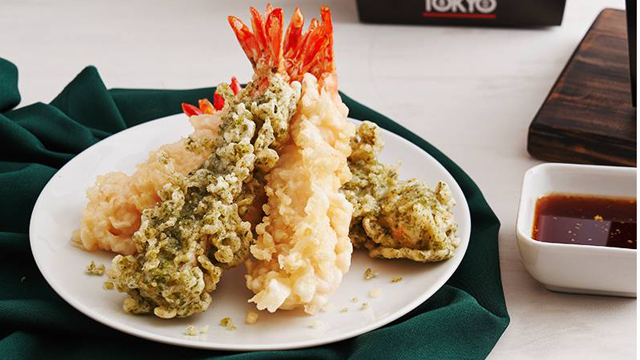 The Peak is at 60/F Grand Hyatt Manila, 8th Avenue corner 35th Street, Bonifacio Global City.